'MIS' is a planned system of the collecting, processing, storing and disseminating data in the form of information needed to carry out the functions of management. In a way it is a documented report of the activities those were planned and executed. According to Philip Kotler "A marketing information system consists of people, equipment, and procedures to gather, sort, analyze, evaluate, and distribute needed, timely, and accurate information to marketing decision makers." 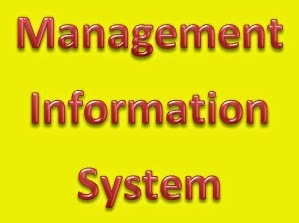 That means, Information systems include systems that are not intended for decision making.